Be grateful you have come across this article today, as you will get all your doubts cleared and learn all you need to know about pain relief tablets. If you have a persisting pain anywhere in your body, waiting for too long to take something for it is a bad idea. Every drug has a minimum effective concentration which can be defined as the minimum concentration of drug in plasma that is required to produce the therapeutic effect. A drug concentration below this threshold will fail to produce the expected therapeutic effect because the minimum concentration at the receptor site to elicit the desired pharmacological response would not be achieved. This is why it is imperative to follow your medication regiment strictly. If you’re using pain relief medication, don’t stop the timely ingestion of your medicine because you’re fed up. After you stop, it’s just a matter of time before the drug concentration decreases beneath minimum effective concentration and the pain comes back. This is probably when you will dash for your medicine cabinet for the pain relievers expecting instant relief, but it’ll take about an hour before it starts working. So, be smart and don’t be irresponsible with your pain relief medications. Simple Pain Relief: The common paracetamol falls under this category. Non Steroidal Anti Inflammatory Drug (NSAID): These include naproxen, diclofenac and ibuprofen. Non Steroidal anti Inflammatory COX – 2 inhibitors: i.e. celecoxib and etoricoxib. Opioids: These can help with severe pain and includes codeine, morphine and tramadol. Steroids: Steroids such as triamcinolone are used for inflammation associated pain as it works by acting at DNA to stop the production of mediator proteins contributing to the inflammation. People often tend to mistake simple pain relief tablets for an NSAID and expect it to help with the inflammation. It is important to know the difference between simple analgesics and NSAIDs. 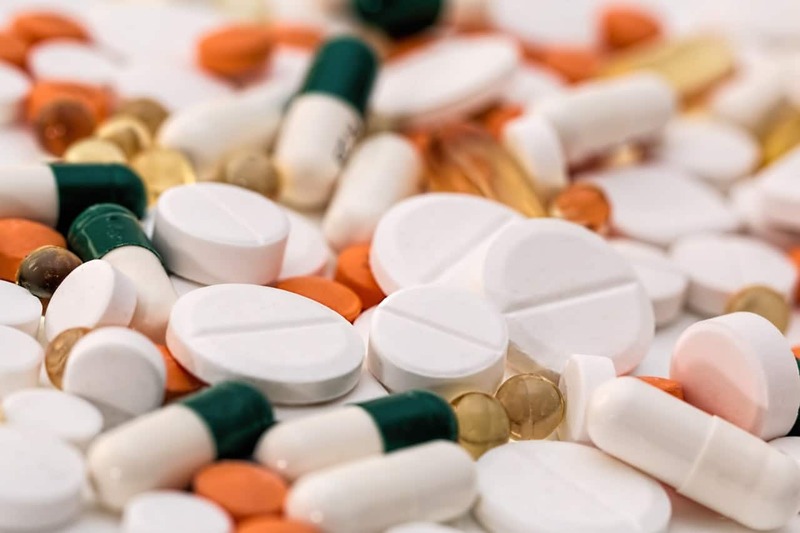 Analgesics act on the central nervous system which includes the nerves in your brain and reduces the pain signals, while non steroidal anti inflammatory drugs work by blocking some important enzymes involved in the cascade of reactions that result in inflammatory pain. These enzymes are called cyclo-oxygenase or COX enzymes. COX2 is responsible for causing the inflammation reaction and the COX2 inhibitors, inactivate this enzyme through competitive inhibition and therefore, halt the series of reactions that will result in the pain associated with inflammation. Pain severity and the type of pain you experience are the two of many most important factors in selecting the pain relief tablets for yourself. Pain from injuries and strenuous activities like strains and sprains can be put at bay with over-the-counter NSAIDS like ibuprofen. NSAIDS are also helpful in relieving the pain resulting from the inflammation of arthritis. Headaches, on the other hand, are considered non inflammation pains and therefore, simple pain reliefs like paracetamol should suffice. Additionally, paracetamol can also be used against longstanding pain from neck or back trouble. Knowing the degree of pain you experience can also help you sort out the right pain relief tablets. Pain severity is classified into mild pain, moderate pain and severe pain. If you experience mild to moderate pain, then paracetamol and non-steroidal anti-inflammatory drugs (NSAIDs) should do the trick. However, if the pain is more on the severe side, then you’re better off taking an opioid for it, since it alleviates pain ranging from moderate to severe. Pain relief medication has been a vital part of post operative care for hundreds of millions of people. Pain management through pain relief medication is an immediate solution to the nagging pain problem you would not be able to shake off otherwise. The right pain relief tablets can rid you from acute as well as chronic pains. Max Palmer is a UK based blogger, specializing in healthcare trends, mental health, health and fitness. He is the member of “UK Sleeping Pills” that transform complex mental health and medical information into compelling, meaningful articles.